Interesting alternative to spend some time swimming in Richland. Is it not your first time here? Tell us how it went using the Facebook comments beneath or contacting us directly! 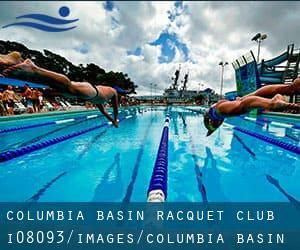 Columbia Basin Racquet Club is only one of all the swimming pools Swimia is providing you, and its facts has been shared with us by a swimmer like you.Keep in mind you can now promote Columbia Basin Racquet Club by sharing this page with your friends, adding comments and linking to us. Few days ago a regular user of this center told us they offer 25 meters x 28 feet, 4 lanes, Salt Water, Non-Chlorine Sanitized, Indoors. Furthermore, they keep in good conditions 25 meters x 35 feet, 5 lanes, Indoor/Outdoor. For this Pool, only phone number is number here. By-pass Hwy. and Van Giesen St. Updated on 2019 1350 N. Grant St. , Kennewick , WA , USA (Postal Code: 99352). This great and large sports center lets professional swimmers like you enjoy 25 yards, 5 lanes, Indoors. Additionally, within these facilities you can try 25 yards, 4 lanes, Indoors. Unfortunately we do not have the e-mail address of this Swimming Pool, but we can give you the phone number.